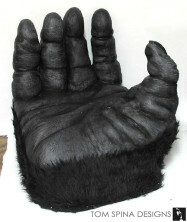 A giant gorilla hand chair to display an original, screen used King Kong costume worn by Jessica Lange! Our client had Jessica Lange’s original King Kong costume dress, worn by her as the character Dwan in the 1976 remake of the classic 1933 movie. 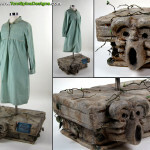 The dress was worn by Lange in the iconic scenes after she is sacrificed by the natives of Skull Island to King Kong. 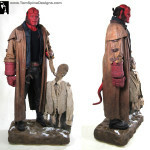 Our client was looking for a unique, larger than life, way to display this iconic piece of Hollywood history. 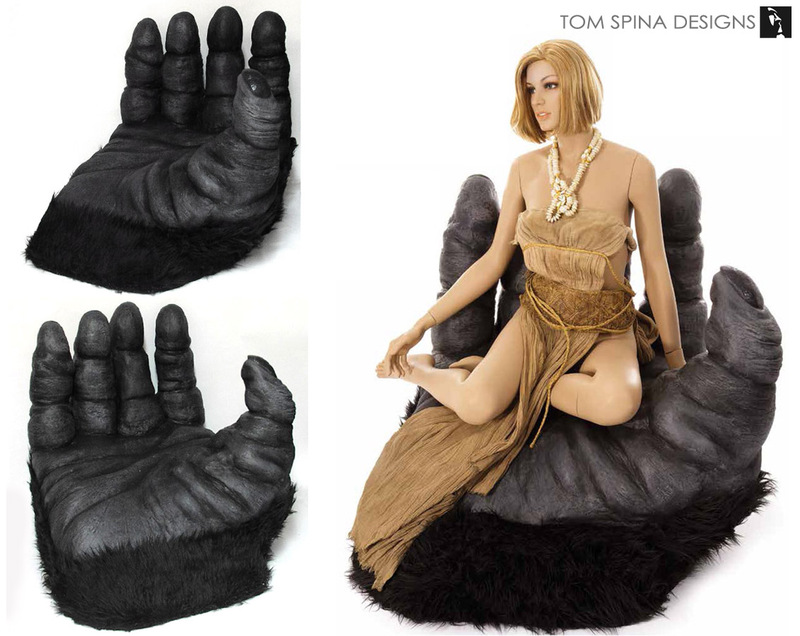 We though what better way than to display her sitting in a King Kong chair, modeled after the giant ape’s massive hand. 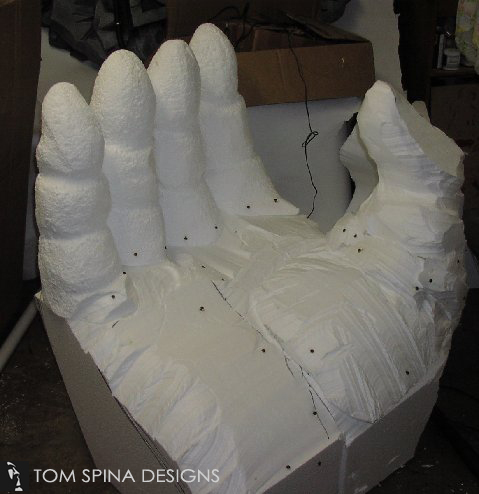 King Kong’s hand is completely sculpted out of EPS foam. We were very specific about all aspects when designing the hand sculpture. 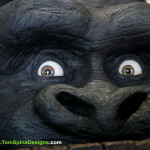 Not only did the hand need to designed in such a way that it could support the sitting mannequin, but we wanted to achieve the rather unique look of the King Kong costume and props used in the 1976 film. We used many screen shots and stills from the movie to design and sculpt the gorilla hand chair so that we’d capture the specific shapes to the fingers, fingernails, style of wrinkling for the skin and the styling of the fur. 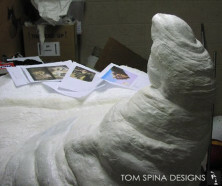 Once carved from foam, the hand was coated for durability and texture and a shag fur was added. 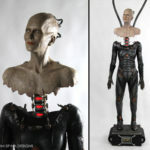 The result is a truly unique piece of ape furniture and a wonderful display for this very rare and valuable dress from the 1976 movie! 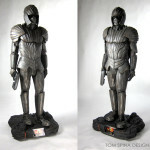 Want to rematch this stop motion classic?